If you notice yourself or your team working on activities that require jumping from application to application, completing tasks that require little thinking, Robotic Process Automation (RPA) software can help. RPA is a quick yet effective automation tool. What is the level of interest in RPA? Why is RPA relevant now? What’s the history of RPA? Is RPA ready for production? What are possible activities of RPA bots? What are different types of RPA? Have we reached peak RPA? What’s the best RPA software? How to choose the right type of RPA tool for your company? How to choose the right RPA vendor for your company? How are RPA solutions priced? How to choose RPA add-ons/apps to speed up RPA deployment? Should you work with a RPA consulting firm to implement RPA? How to choose an RPA implementation partner if you need one? Robotic process automation (RPA) is an emerging form of clerical process automation technology based on the notion of software robots or artificial intelligence (AI) workers. For more, see our detailed blog post on what is RPA. With so much interest in the topic, consulting companies like BCG, McKinsey and Accenture have integrated RPA into their digitization solutions. Here’s an Accenture video that outlines on a high level, how RPA works. In 1990, Office 1.0 had 3 products: Word, Excel, Powerpoint. Office 2016 has 9 products: Word, Excel, PowerPoint, OneNote, Outlook, Publisher, Access, Skype for Business, Visio Viewer. With more tools, comes need for integration. Though every major tool has an API, developer company may not provide open access to the API. Without API access users are forced to export complex CSVs and resort to other complex but boring data janitor work. Who can blame the vendors? Every vendor wants to have a sticky product. Sadly. making integration and data migration difficult increases switching costs and creates frustrated but loyal customers. This also explains the rise of tools like Zapier and IFTTT (If this then that) that raised almost $40M. Sometimes vendors aren’t the ones to blame. Most large companies still use some systems built with 2000s technology. And legacy systems are not supposed to be providing integration to modern tools. RPA provides a solution to these problems. Software robots step up to bridge the gaps between systems. Additionally, some business logic involved in business processes are quite simple and bots also automate such reasoning. Most cost-arbitrage is already completed: While that cost advantage was quite significant, it’s fading. According to Deloitte’s Global Outsourcing Survey, in 2016, 75% of organizations profiled reported that they had already realized cost-saving targets by leveraging labor arbitrage. If that number is even remotely indicative of the larger population, outsourcing simply isn’t the same game-changer it once was. Process errors are costly and BPO leads to limited error reduction: While this virtual labor source is much cheaper than the local talent, it still has some cost and is prone to errors. Because of these factors, leading companies today eliminate manual processes thanks to advances in artificial intelligence and machine learning. So whenever your company has a manual process, it is a good opportunity to ask yourself: How can we automate this process? As you can see in our comprehensive guide on Robotic Process Automation (RPA), RPA can help automate most manual processes. 3- These puts companies that do not use RPA at a disadvantage. Repetitive tasks can no longer be outsourced away or automated with simple macros. RPA is the modern approach to automating repetitive tasks. While some companies may still be competitive without it, that time is passing. RPA deployments are growing at an explosive rate. 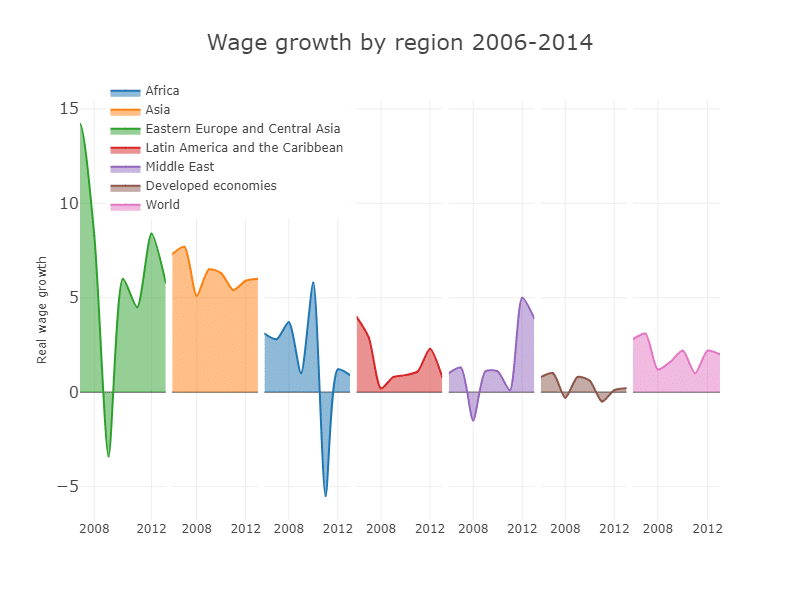 That trend is not slowing down and it’s certainly not going to reverse. There are 3 critical capabilities that make up a modern RPA company: screen scraping, Business Process Automation and Artificial Intelligence. As Robert Rennie explains the precursors of RPA was simple screen scraping programs built for testing automation. Both leading (UiPath) and emerging (Argos Labs) RPA companies have their roots in screen scraping. For automation of testing or various other tasks, companies need effective screen scraping solutions. However, the first screen scraping solutions, such as those that were available in 1990s were too brittle. They needed reprogramming with every tiny change in the user interface because they relied on component identities in the user interface modules. By late 2000s, early 2010s, the screen scraping solutions relied more on image processing rather than hard coding component names. Therefore, screen scrapers were able to react to changes in the UX in a much more flexible manner like humans. Over time, financial institutions working with these screen scrapers were able to automate complex processes. This allowed emerging RPA companies to build business process automation solutions on top of their screen scrapers. Business process automation (BPA) solutions existed since 1990s and they were already quite mature so there was not that much research needed to bind BPA to screen scrapers. Finally, with the rise of AI, companies became increasingly aware that machines could surpass humans in simple cognitive tasks like OCR or pattern recognition. The RPA developers that we know today were born as they added AI capabilities to their software with partnerships and through their marketplaces. For a more comprehensive list, I recommend you to take a look at our comprehensive list of RPA benefits. Yes, most large non-tech organizations that rely on numerous systems including legacy applications already piloted RPA deployments with satisfactory results. We have an extensive list of RPA case studies highlighting global brands that set up hundreds of bots. In our bank we have people doing work like robots. Tomorrow we will have robots behaving like people. It doesn’t matter if we as a bank will participate in these changes or not, it is going to happen. As industrial robots transformed the factory floor, RPA bots transform back offices. RPA bots replicate employee actions like opening files, inputting data, copy pasting fields in an automated way. They interact with different systems via integrations and screen scraping, allowing RPA tools to perform actions like a white-collar employee. This is the most fundamental unit and there are already free bots offering free trials (provided by Argos Labs) or limited functionality (Workfusion RPA Express and UiPath Community Edition). Robots can be run from employees’ desktops or from the cloud. Integrations are necessary for your bot to work with your enterprise applications. It is also possible for the bot to screen scrape and still perform tasks however it is more reliable to have app integration compared to screen scraping as screen scraping tends to have a higher probability of causing errors. Most bots in the market work with legacy applications (though coverage depends from vendor to vendor), web applications, desktop applications and other major enterprise software including SAP, Citrix, Java and mainframe applications. Programming interfaces are required because bots need to be programmed. RPA programming is relatively simple compared to other types of programming and there are code-free ways to program RPA bots. We explain different ways of programming RPA bots in detail in our RPA tools article. Management console for your bots and processes. Allows you to start/stop or schedule bots and analyze bot activity. Orchestrators highlight issues that bots encounter and provide a dashboard for the processes that are managed by RPA. UiPath Orchestrator is an example. Business exception handling: No matter how well programmed, your bots will run into issues with the diverse data they encounter. These exceptions need to be highlighted, managed via queues and seamlessly assigned to personnel to be resolved before they lead to any bottlenecks or delays for customers in your processes. Different user access levels: Several user access levels enables orchestrator to be used by different personnel for various functions. Bots can do these functions on virtualization solutions like Citrix or on Windows environment. Most vendors do not support other OS environments like Mac OS or Linux. This is because most office work is conducted on PCs. Usage: Bots serve specific functions. Though most RPA tools can be used to build bots that serve all these functions, some tools are more optimized for attended or unattended automation. While unattended automation is batch-like background processes, in attended automation users, for example customer service reps, invoke bots like invoking macros. For more, read our RPA tools article which has a section that covers types of RPA in detail. In short, none of these approaches offer the flexibility, speed and cost advantages of RPA. However, as CIOs know that management is the art of trade-offs. And sometimes IT transformation solutions though they are slower, generate better returns in the long run. If you are not sure that RPA is the right process automation solution for your business, learn more about RPA alternatives. As seen above, interest in RPA seems to stop increasing after 2017. However, we think that we have not yet reached peak RPA. The slowdown in growth is partially due to the technology adoption curve which has a period of strong growth followed by a period of gradual increase as laggards adopt the solution. Before 2016, rpa was hardly being used. Experiencing strong growth through 2016-2018, RPA is now commonplace in executive suite discussions. Its growth rate is likely to slow unless its customer base can be expanded. One possible are of customer base expansion is RPA for SMEs which are simpler automation solutions that are just starting to get popular. RPA itself will not become obsolete, at least in the next 10 years. However, your RPA installations could need to be replaced if more custom solutions with better error rates become available. To us, asking if RPA will become obsolete is like asking if excel will become obsolete. Better, easier to use tools can do what excel can do in almost every use case, however none of them are as flexible and have as widespread availability as excel. Due to changes in the market or the company, a new process is required. Or due to advancements in automation and cognitive computing, it becomes possible to automate processes that were not easy to automate before. The custom solution becomes available and it will slowly gain market share. If a new, more customized, cheaper or smarter solution becomes available and if it can offer cost savings compared to the costs of running an RPA automation, then switching to an RPA alternative may make sense. Feel free to read our future of RPA article for more on this. There are also numerous industry (e.g. telecom, financial services) or business function (e.g. marketing, sales) specific processes that can be automated with RPA. If you want more ideas on how to apply RPA at your company, we listed >50 RPA application areas in detail. Every industry (e.g. telecom, financial services etc.) and business function (e.g. marketing, sales etc.) has different processes. So it’s not easy to get a list of processes to automate for your specific industry and business functions. That’s why we are creating a sortable list of RPA case studies so you can see processes companies in your industry automated in your business function. Some industries that have companies that fit both of these points are listed below. 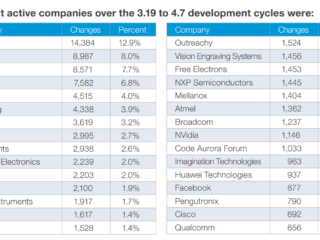 Most of these are old companies that rely on legacy systems. RPA can achieve significant savings and customer satisfaction increase in branches, call centers and the backoffice. According to McKinsey Global Institute’s 2017 report on automation, 43% of these jobs are automatable. This is because data entry and processing is an important part of these businesses. Furthermore, these businesses are subject to constant changes in regulation such as KYC requirements. Bots can be taught regulatory changes quickly and in a centralized way. This helps companies avoid embarrassing compliance issues. According to previously mentioned McKinsey report, 44% of activities can be automatable. Since these are the oldest subscription businesses, they have payment and customer service processes which can be automated. We did our best to answer this question by looking at the most popular/best funded RPA solution provider. However, this is not the right question because the right software depends on the processes that needs to be automated, price sensitivity of the buyer, current software used by the buyer and other criteria. Read on to find the right RPA software for your business. Programmable RPA tools: These are the most commonly used RPA tools. Programmers need to understand the process and code a set of rules governing how the RPA bot will function. For complex unattended automation tasks, these tools are needed most of the time. 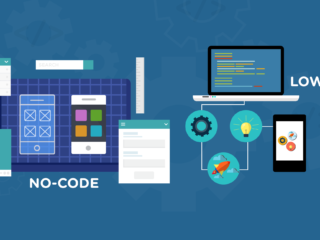 No code RPA tools: Process still needs to be analyzed and understood but instead of programming, users rely on a visual user interface and macro recording to build automations. This obviously seems preferable to programmable solutions and in attended automation, we expect these tools to gain more widespread acceptance. There’s increasing interest about self-learning solutions as we explain in our future of RPA article. Using historical (when available) and current data, these tools monitor hours of employee activity to understand the tasks completed and to start completing them after they have reached enough confidence to complete the process. These solutions are very attractive since they reduce can significantly reduce time for automation and some vendors claim to have such solutions, however we have not heard validation that these tools indeed work from RPA customers yet. If we leave aside self-learning solutions which are not ready for enterprise use yet, it is obvious that no code tools combined with cognitive/intelligent automation solutions are the most attractive ones. However, we have seen cases where programmable bots were recommended by RPA resellers rather than no code RPA tools. One complication in the RPA landscape is that most companies purchase RPA solutions from implementation partners rather than the companies building the technology. Implementation partners allowed vendors like Blue Prism and WorkFusion to have quick access to a global customer base. Professional services companies like Deloitte, technology consultants like Accenture, Business Process Outsourcing (BPO) providers like Genpact have existing relationships with a large number of customers in various industries. They used these relationships to sell RPA implementation solutions. Depending on the revenue model, implementation partners can be incentivized to increase their billable hours and recommend programmable solutions which creates a conflict of interest between RPA customers and implementation partners. However, this should be easily solvable by procurement best practices such as ensuring that different implementation partners that cover a wide variety of RPA solutions are part of the bidding process and compete to offer the most efficient proposal for your company. You can learn more from our detailed overview of RPA tools. For a lot more information on this, explore our guide on how to select the right RPA partners. If you aim to try RPA without taking significant financial risks, starting with WorkFusion’s RPA Express or UiPath Community Edition could be a good option. However, these versions are quite limited compared to the full automation capabilities of their paid tools. Upgrading from the limited free editions, your company will need a paid installations. Pricing generally depends on number of bots or number of activities automated. We summarized different vendors’ pricing policies in a table here. Most companies do not publicly share their pricing but especially new entrants are challenging that notion. For example, Argos Labs is quite transparent with their pricing. Their offer of $50/month/bot is the lowest we have seen in the market. Probably that’s why they are so transparent about it. RPA add-ons/apps are programs that can be added to your RPA tool to take care of specific tasks like data extraction from invoices. Therefore, they reduce development efforts, error rates and implementation time. RPA is a flexible automation platform. Therefore, rolling out RPA solutions require significant programming and customizations. In this way, RPA is analogous to programming languages and platforms which are also flexible aumation tools. Ever since the rise of the first programming languages like Fortran in the 60s, to the rise of content management platform WordPress in 2000s, flexible automation tools relied on sub-programs. Therefore, as long as the inputs and output requirements do not change, other programmers can update and improve sub-programs without interfering with any of the programs that use the sub-program. RPA is no different. There is a growing industry of companies that build applications that run on RPA tools to take care of specific tasks. For example, Hypatos is an AI company that built software for extracting data from invoices. Since invoices can take many different forms and since Hypatos spent years solving this problem, their solution reduces programming related to invoice handling and reduces error rate. RPA companies could possibly build these apps as well but they already have the daunting task of competing in the RPA space and the reduction in focus is probably not worth the reward. If you RPA vendor has a marketplace, you can find apps there. If not, you can work with RPA app developers to get the add-on that you need. We have a comprehensive article on RPA marketplaces with a list of marketplaces, leading RPA app developers and the criteria you can use to choose apps. However, please be aware that RPA app industry is indeed an emerging industry and the marketplaces currently have limited reviews/ratings to help you find the most highly regarded developers. In cases where there’s little user feedback, it could make sense to talk to the developers, understand their track record and follow procurement best practices. Even after you choose the solution your company needs, you need to decide whether your team has the capacity and experience to complete the automation. If they do not have the time or experience to set up RPA bots, business service providers like Accenture and Infosys can help. They offer RPA setup support for enterprises who would like to work with a hands-on partner while rolling out their bots. While working with a business service provider speeds up deployment, it is more expensive than an in-house deployment team. If you are working for a large enterprise that will use RPA to automate numerous processes, eventually your company will need to build its own RPA deployment capabilities. We are seeing companies set up centers of excellence for RPA and other automation technologies. For example, UBS in UK has an RPA center of excellence led by Richard Wiggs. This is definitely a worthwhile investment for large companies. 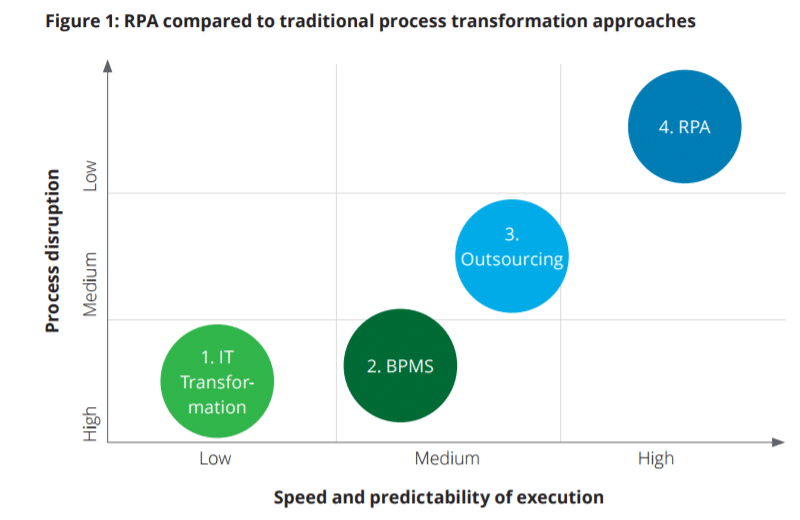 For more, read our in-depth article on RPA consulting. Partnership with the RPA vendor you chose: Choosing the right RPA tool is important as capabilities of the tool will determine your business’ RPA development timeline and automation capabilities. You should only work with RPA implementation partners that are partners of the RPA software vendor you chose. Geographic coverage: While some global companies can be great in certain markets, what matters in this situation is the strength of that company’s local team. After all, RPA implementation is a local service that is completed by the local team. Process-Specific Experience:The more they know the process to be automated, the less your team needs to spend time explain details of how they run the process and its exceptions and so on. Industry-Specific Experience: The more they know your industry, the less your team needs to spend time explaining details to them. Existing relationship: It is easier to work with partners you already know. For more on RPA consultants, read our RPA consulting guide which includes a list of 150+ leading RPA consultants including information on their geographic coverage and RPA tools they use. In short, you need to select the best candidate processes for RPA, get management and team buy-in and implementation, run a pilot and go live. While the overall process is simple, devil is in the details. Based on the customer survey of RPA provider,UiPath, an RPA deployment typically takes 1-2 months including time required to configure, test, and launch automations into production. However complexity of the process, team size and level of automation will all impact project duration. Our recommendation would be to start with modest aims. To learn more, check out our RPA implementation article. Convince the organization: Even in automation, it’s really about the people. While this is the high level process, you can also read all implementation related details on our blog. Organizational pitfalls: Lack of commitment either from management or the team itself can delay any project and RPA projects are no exception. Process pitfalls: Choosing an overly complex or insignificant process will lead to limited impact. For example, implementing RPA to an area like expense auditing where specialized solutions exist, can lead to significant effort without satisfying results. Read our comprehensive list of RPA pitfalls for more info. They are built for common, well optimized processes. Modifying your process to match these templates can simplify and increase the efficiency of your processes. Though most bots do not offer this option, the future of bot stores will likely include maintained bots. Regulatory changes like GDPR impact all companies in similar ways and necessary changes could be rolled out to many companies automatically via bot updates. This would reduce maintenance costs and process disruptions. A single bot codebase would be prepared by an RPA implementation company in case of a regulatory change. This code base would be used by numerous other companies which report bugs, reducing programming errors for all. Automation Anywhere rolled out the first bot store which included ~200 bots as of July/2018 covering business processes in major business functions such as finance & accounting, HR, IT, inventory management, manufacturing, sales, distribution, supply chain management, support, business applications by major tech vendors such as Adobe, Atlasssian, CyberArk, Google, IBM, Microsoft, Oracle, Salesforce, SAP, ServiceNow, Twitter, Zendesk, Zoho, categories such as artificial intelligence, collaboration, insights, productivity, security and utility. When we initially wrote this in 2017, we wrote that we expected other leading companies in the field to follow suit. By then, UiPath team already mentioned that they are working on a marketplace on their Community forum. UiPath bot marketplace is live now. Outsourced services provider Xchanging observed 11-30% cost reduction depending on processes automated. Company has seen dramatic increases in speed. Company was receiving unstructured data from its clients which were manually processed. Through automation, a process that took months, started to be completed in minutes. Cognizant helped a medical insurer automate claim adjustment process leading to 44% cost saving. As famous leader in management, Peter Drucker, is noted for saying: “If you can’t measure it, you can’t improve it”. This definitely applies to the impact of RPA. Measuring its impact helps elevate the role of the implementation team, builds appetite for further productivity improvements and encourages team to identify areas where they can improve. Though it is complicated to do a though A/B test with process automation, looking at output and size of related teams before and after the RPA implementation will give a good idea about the impact achieved with RPA. Long term IT investments can sometimes be planned in isolation of capabilities developed by non-tech teams. And RPA gives non-tech teams a strong tool to automate their tasks. Therefore it is important for tech and non-tech teams to collaborate and ensure that automations completed with RPA are not re-programmed in applications. Scarce technical resources would be better deployed in building changes to applications that can not be completed by RPA tools. Once you have proved the benefit and viability of RPA projects, you need to consider how you can launch new RPA projects effectively. Most large companies choose to have RPA centers of excellence that help teams launch, audit and improve RPA projects. The crucial thing here is ownership. The business units themselves must be responsible for RPA installations or else center of excellence teams will find themselves responsible for processes they do not completely understand. Center of excellence teams should focus on aggregating best practices and helping teams ramp up quickly. RPA will inevitably lead to predictable redundancies as bots take over more work from humans. For all/most employees, once most of their responsibilities are automated, new responsibilities can be assigned. The good thing is that you will know in advance which personnel will be redundant which gives managers time to identify new roles for the personnel and train them for the transition. However, this can not be a departmental effort. HR should coordinate the new assignments and managers across the organization should be motivated to take on employees that have become redundant. As with any industrial revolution, post AI world also makes some formerly valuable skills redundant. Workers who are specialized in automatable tasks will inevitably be let go if they fail to improve themselves. Though hopefully such cases will remain rare, it is critical for management to handle those cases as professionally as possible. People need support of their old managers to continue their professional lives in the best way possible. UiPath Community Edition’s Forum is like Stack Overflow for UiPath with quick response times and detailed tutorials. Workfusion’s RPA Express has free online courses for beginners. Similarly Automation Anywhere University offers online training. Not all RPA providers offer free public training though. For example Blue Prism’s trainings are confidential to its partners. However, if you are already working for a partner or customer of these companies, then you can use their trainings for free to improve your skills. We have an article on RPA training where we collect RPA training resources. Movies have been showing us physical robots for a long time. However the first AI bots that we will work with are software bots. This shouldn’t be surprising as hardware is hard while software is eating the world. We covered all major aspects of software bots/robotic automation here. If we missed anything, let us know in the comments! Thanks a lot for creating this site! I really appreciate it. One shot Information…Great creation. Cheers. One-shot Information. Great work….Cheers !!! Hi Thanks for sharing about niche technology and blog is very nice , I have Query about the same RPA, I have seen some of recruiters posted few career option in some MNC with 6-9 yrs exp , so my question is when was it really introduced to open world services & does market have such an experienced professional available ??? Blue Prism was launched in 2001 and Automation Anywhere was launched in 2003 so it is possible to have 10+ years of RPA experience. However, it’s rare to find developers with such extended experience in RPA. Furthermore, RPA tools developed so much in the past few years that most of the experience from before 2010s would be hardly relevant. If I were you, I would not refrain from applying to such positions. Great article, really comprehensive. I like the amount of effort you put into creating content. Do we have to learn programing or RPA tools ? Nice article. Gained a lot from this. For more info related to free RPA tools refer to the below link which is an RPA Tool used for students & developers where they can use the free version. The post is very attractive and impressive. Fantastic job. You’ve spent an enormous amount of time getting this blog together maintaining it against a constantly moving target. It’s not easy to dig through the vendor hype, particularly with so much VC money pouring in. The marketing machine is running at full noise. It looks to me like the people working for nothing already in the off-shore BPO centres servicing western multi-nationals are at greater risk than the jobs that were too hard to send there in the first place. RPA could become a tougher sell in western markets once everyone works out that a robot per desk is not realistically possible without an analyst / programmer at every desk at this point. It’s not ‘the same as Excel’, no matter how many time someone says it. The plethora of failed projects are most likely due to underestimating what’s needed to implement, and probably also overestimating the return. It appears that it is still the case that stable, low exception, high volume transactions are the only ones you can get any appreciable and rapid return on automating, perhaps with the same but more complex (such as requiring OCR) in second place. Great site. Thanks for the education!! Thank you Bernie! Agree overall. In the short term, I think the programmer/analyst is going to be <1 per desk though. Programming for tasks rather than doing these tasks will definitely bring productivity. However, companies will keep on finding additional value generating activities to do. Infrrd ( https://infrrd.ai ) provides Artificial Intelligence & machine learning solutions for document control, invoice data extraction, receipt data extraction etc for Real estate, mortgage, financial services, Banking & insurance. Infrrd Enterprise AI platform includes natural language processing, robotic process automation, image recognition, computer vision, and machine learning.